For people who do not have a serious drinking problem, but sometimes drink alcohol at dangerous or abusive levels, brief interventions can be an effective way to get them to moderate their alcohol consumption and eliminate harmful drinking patterns. The same brief intervention strategies, however, do not appear to be effective for those with more serious alcohol use disorders. Brief interventions are short, one-on-one counseling sessions that are aimed at encouraging the person to eliminate harmful drinking practices like binge drinking. Unlike traditional alcoholism treatment, which can take weeks and even months, brief interventions are typically one to four short sessions. In most cases, the person is provided reading material, such as pamphlets, manuals or workbooks, which reinforce the strategies outlined during counseling. The counselor usually follows up with the person by email, mail or telephone to check on their progress and offer further encouragement. Interventions are usually conducted by professionals who have received specific training in alcohol or addiction counseling. Counselors are typically a physician, nurse, psychologist, or social worker. In college settings, trained peer counselors have also been effective. Traditional alcoholism treatment is aimed at those who have become alcohol dependent and has the goal of promoting total abstinence. The goal of brief intervention is to get the person to reduce their level of drinking or change their harmful pattern of drinking. The goal of brief intervention is to reduce the negative outcome of the person's drinking. For example, it can be used to help pregnant women avoid damage to their unborn child. Interventions are aimed at reducing alcohol-related medical problems, injuries, domestic violence, auto crashes, legal problems and other negative outcomes that occur when someone drinks too much. Who Should Receive Brief Interventions? Anyone who occasionally drinks to excess or binge drinks could possibly benefit from brief intervention. Binge drinking is having five or more drinks during a single session (four drinks for females). Brief interventions can be helpful for anyone who has developed alcohol-related health problems, becomes pregnant, injured in an alcohol-related incident, or has been arrested for driving under the influence or for some other alcohol-related crime. Many times people who would benefit from brief interventions are identified through routine medical screening, using standard alcohol screening tools. Sometimes they are identified through blood tests that can reveal alcohol consumption or an alcohol-related health problem. These interventions have been successful with both younger and older patients, and with both men and women. Interventions that include personal follow-up are more effective than a single-contact intervention, researchers report. Brief interventions have also been shown to be effective when they are delivered during a "teachable moment" for drinkers, such as when they are receiving trauma care in an emergency department or when they find themselves in trouble with the law. 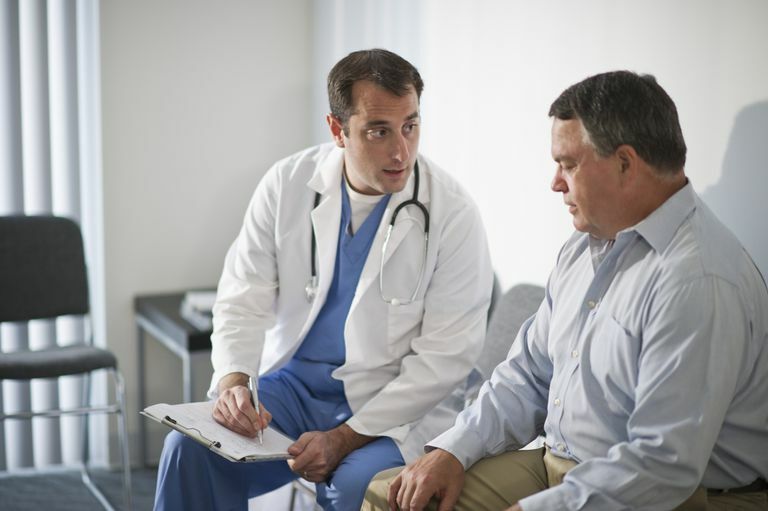 Primary Care Settings: Although research shows that 20 percent of patients in primary care settings have alcohol abuse problems, they are diagnosed less than 50 percent of the time. Even though 88 percent of primary care physicians ask their patients about their alcohol use, only 13 percent use standard screening tests. However, interventions in the primary care situation can be very effective. Sometimes a family doctor simply saying, "I'm concerned about your drinking" is enough intervention to get the patient to reduce his drinking. The Emergency Department: Because 31 percent of patients given emergency care test positive for alcohol problems and because treatment for trauma is a "teachable moment," emergency departments offer ideal opportunities for screening for alcohol problems and delivering brief interventions. This is especially true of young adults, who are both more likely to seek care in the emergency room and are more likely to be practicing hazardous drinking. The Prenatal Setting: Preventing drinking during pregnancy is important in preventing possible birth defects. Brief interventions have been very effective in the obstetrical setting because pregnant women are usually motivated to change their behavior and usually have only mild to moderate drinking problems. These interventions are even more effective when their husbands or partners participate with them. The Criminal Justice System: Although being in trouble with the law presents another "teachable moment" for those with alcohol problems, there is little research that shows that brief intervention is effective in these settings, compared to traditional treatment. One study did show that brief intervention worked well for drunken drivers who also suffered from depression, but not for those without depression. College Settings: With up to 44 percent of college students binge drinking, college certainly presents many opportunities for intervention. Brief interventions have been shown to be effective in college settings because the goal is to reduce drinking, not to stop drinking altogether. The problem, research shows, is that the very students who need intervention the most are the least likely to participate in the counseling. Brief interventions have been shown to be useful and cost-effective for people who have mild to moderate drinking problems, but for those who have severe drinking problems, or those who are alcoholics, more extensive treatment is necessary. National Institute on Alcohol Abuse and Alcoholism. Alcohol Alert No. 66: Brief Interventions. 2005. National Institute on Alcohol Abuse and Alcoholism. Helping Patients Who Drink Too Much, A Clinician's Guide. 2005.